Automation is consistently happening all around us. Self-checkout lanes and computerized cashiers have become a norm these days in most retail outlets (fast-food coming soon). Self-check in is becoming the norm in airports and hotels. Customer service inquiries are handled by a human voice powered by artificial intelligence. Passenger jets fly themselves, surveillance drones fly themselves. Cars drive themselves, lawns mow themselves and rugs vacuum themselves. Just-in-time production giants (such as Walmart and Amazon), depend on highly automated logistical systems to meet demand head-on. Office employees in the business of managing something that somebody else is managing (middle-office employees), are finding their non-value adding processes replaced by process aligning and analyzing software. Even Doctors are being slowly replaced by software and Doctor Robots. None of the aforementioned is new and has been predicted by Moors Law. Moore’s law refers to an observation made by Intel co-founder Gordon Moore in 1965. He noticed that the number of transistors per square inch on integrated circuits had doubled every year since their invention. Technological growth is exponential and so is its application in real life. The rate of technological change that impacts your life tomorrow will always be faster than today. Think of how far automation has come over the last 10 years; take the squared root of that number and we get 3.16 years. That is how long it will take from this moment to achieve the impact of technological innovation that took 10 years to achieve prior to this moment. There will be a time when there is a technological singularity and Moore’s Law is no longer applicable; that will happen when Quantum Computing becomes a norm. I’ve personally experienced several corporations making the shift from human capital to technological capital. The reason is obvious – to cut costs. No, companies aren’t trying to make checkout lines more convenient or customer service more pleasant. Greater Productivity – People = More profit. Yes, there are instances in which automation benefits the societal good (EZ Pass lanes), but there are always sacrifices that must be made to the status quo. The exponential emphasis on technology as we progress to the future will cause a paradigm shift in which humans will slowly start to merge with the technology around them. This shift has already begun in most of the developed world. People are already connected 24/7 to smart devices, computers, digital media and virtual worlds of gaming. The level of intimate connectedness with technology will only continue to accelerate as humans become one symbiotic entity with their technological tools. If you are thinking of movies/novels like – The Matrix, Terminator, Star Wars, 1984, Transcendence – then you are on the right track. The future, 100 years from now, will be a blend of sci-fi novels of our current time. The current world population of 7.3 billion is expected to reach 8.5 billion by 2030, 9.7 billion in 2050 and 11.2 billion in 2100, according to The United Nations Department of Economic and Social Affairs. Have you seen the traffic density in places like Mexico City and Bangkok? With an exploding population, self-driving cars are inevitable. With classical careers taking extreme shifts over the next decade, people will start to become more useful as passive participants (instead of active participants) in an automated world. Over the next few decades, educational curricula will begin to shift more heavily towards technology. In other words, you will need to understand how the machine that is doing your job functions. Areas of specialization – such as Finance, History, Pharmacy, Education, Retail, etc. – will become secondary to understanding the mechanics of the technology that is the active participant in the automated world. The unemployed population (which will be very large) will survive from the ample amount of resources and government subsidies. Telecommuting and virtual conferencing will become nominal, not occasional, in the next 10 years. Population growth, overcrowded highways and environment eroding emissions will ensure that this change happens sooner than later. Expect virtual classrooms, drone deliveries for everything (including groceries and prescriptions) and augmented reality to replace travel. Once again, general K-12 & College curricula will focus on STEM fields and all other subjects will take up less than 20% of an instructor’s time (robotic or otherwise). The rapid velocity at which technology shapes our society is truly astounding. It is important to maintain a robust skill-set in order to not become obsolete and replaceable by a machine. Active participation in the workforce will require an even more impressive resume in the future. The future won’t be utopic or dystopic; it will just be. You can’t change the direction of the wind, but you can adjust your sails to always reach your destination. There is a storm coming. The next financial crisis is looming around the corner. The sword of Damocles is hanging over all our heads. I say “our heads”, because we all live in a financially interdependent and intertwined world. Anyone who believes that they are truly financially independent must literally be living like Matt Damon in the Oscar nominated “The Martian”. The velocity and intimacy of the financial interdependence between all countries in the world has been increasing exponentially. Advances in communication and transportation technology, combined with free-market ideology, have given goods, services, and capital unprecedented mobility. In 1965, Intel co-founder Gordon E. Moore observed the exponential increase of the number of transistors on integrated Circuits – Moore’s Law. Essentially, this means that processing capacity for computers is doubling yearly. This phenomenon has continued until today, with the number of internet users worldwide following similar trends. The explosion of technological progress over the last 25 years has helped facilitate a worldwide interconnection that continues to increase exponentially every day. The speed and ease of executing financial transactions privately or in the open market have also followed the aforementioned technological trends. The increased reaction speed of worldwide markets to information, true or false, makes it increasingly difficult to hedge against a worldwide crisis. The next crisis will come to fruition much more rapidly than in 2008. News travels like lightning across the globe – especially bad news. 2016 has commenced with the worst start to the S&P index in its recorded history. After the 2008 Financial Crisis, The Dodd Frank Wall Street reform act implemented in 2010 has promised “sweeping overhaul of the United States financial regulatory system, a transformation on a scale not seen since the reforms that followed the Great Depression”. This act has surely made the U.S. financial system more robust – but not unbreakable. Ever since the 2008 crisis, most of the world has been dependent on the Federal Reserve’s massive bond buying program (quantitative easing) to prop up equity prices and stimulate growth in emerging markets. Quantitative Easing is basically the Federal Reserve (not a government agency – a central bank), “buying” (with an IOU) “distressed” assets from other banks, in order to relieve the bank’s balance sheets so they can continue lending money, therefore increasing the money supply. In theory, this practice is supposed to assist the economy by ensuring liquidity and consumer/lender confidence. In the other side of the pond, European banks have adopted “Negative Interest Rates”. Imagine a bank that pays negative interest. Depositors are actually charged to keep their money in an account. As crazy as it sounds, several of Europe’s central banks have cut key interest rates below zero and kept them there for more than a year. Now Japan is trying it, too. Negative Interest Rates work by by imposing penalties on excess reserves left on deposit with central banks, negative interest rates drive stimulus through the supply side of the credit equation – in effect, urging banks to make new loans regardless of the demand for such funds. Quantitative Easing can be likened to a mail-in rebate after a retail purchase. You (Central Bank) make a purchase (buying distressed asset from financial institution) because you believe that you will be re-reimbursed (Central Bank buys distressed asset for discounted price, asset is assumed to go up in value after hectic period). Negative interest rates can be likened to a clearance sale. You (Central Bank) make a clearance sale (giving loan to a financial institution at rock bottom price) because you believe that having the clearance item in your inventory is costing you more money than it’s worth. The above scenarios are examples of monetary policies which are designed to manipulate inflation, the money supply, interest rates and overall economic activity. China’s economy has slown down considerably. The Chinese stock bubble is deflating amidst new projections that the economy cannot sustain its booming growth in prior years. This spells trouble for the rest of the world, because most developed countries are financially vested in China and/or rely on them for raw materials. The Chinese economy is moving from puberty to adulthood, and is trying to shift slowly from primarily exporting goods, to relying on domestic production. Unfortunately, this changing of gears does not look good on paper because China is no longer slated to exceed its economic expectations. 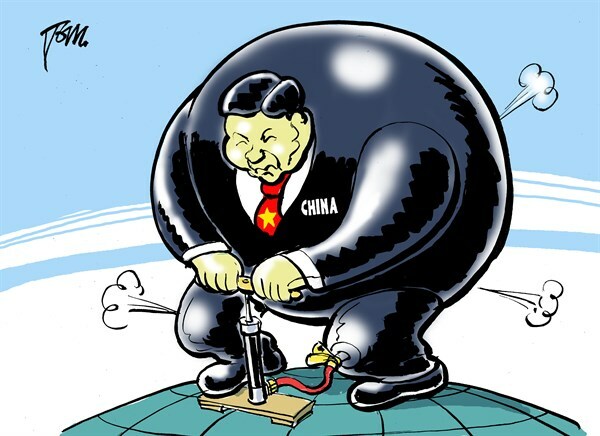 Additionally, there is confusion about the reality of the Chinese situation because of questionable accounting methodologies and absent financial regulations. The United States sells hundreds of thousands of cars (among other goods) to China every year. If Chinese consumers are unable to buy American vehicles because the economy in China is faltering, the United States suffers. Financial interdependence. Oil prices have been under $30/barrel for over a year now. The reason for cheap oil, is because of growing concerns over the Chinese economy, fears of a persistent surplus in oil supplies, and most recently the removal of sanctions on Iran. Iran has vowed to bring back 500,000 to 1 million barrels per day (mb/d) in oil within a year. This translates into cheaper gas at the pump because of excess supplies, but layoffs and eventual bankruptcies at many U.S. energy companies. Cheap oil is keeping inflation at bay, but if the oil investment bubble bursts in the next couple of years, it will send a shock wave throughout most developed economies. The officially unemployment rate is currently at 5%. The problem with this “official” rate is that it does not count workers who are too discouraged to continue looking for a job. The real unemployment rate if you add back workers who have been discouraged less than a year is 10%. If you add back workers that have been discouraged for more than a year, the unemployment rate is 23%. If you calculate the number of workers over the age of 16 and divide that number by the U.S. population, the rate is about 40%. Aside from the fact that Baby Boomers are breaking the Social Security bank, the real unemployment rate has been rising because there are more discouraged workers every day – many of them Baby Boomers. Over the next few years, the real unemployment rate will continue to rise; it is a mathematical certainty. A rising unemployment rate “official” or otherwise, will deliver stress to the economy, incarnated by rapid media coverage. The $1 Trillion dollar Student Loan Bubble. An ever growing number of American students are graduating from college staring down the barrel of a debt gun. Wages are not climbing along with the ballooning amount of student debt in the U.S. today. The average college graduate carries a load of about $35,000 today. The cost of education continues to rise, while baccalaureate salaries are barely keeping up with inflation. Unfortunately average student loan debt will continue to increase over the next couple of years. Eurozone. The Eurozone recovery remains disappointingly weak after Greece fell back into recession and Italy has slowed into stagnation. Portugal only grew by 0.2% in the last quarter, down from 0.4% in the third quarter. That’s a blow to Lisbon’s new left-wing government, as it tried to unwind some of the austerity measures implemented by its predecessors. Finland, one of the most fervent supporters of austerity during the debt crisis, is also still shrinking. GDP fell by 0.1% in the last quarter. Germany grew only 0.3% in the third quarter because of exports falling faster than imports (cars to China). The European situation is getting more desperate every day and is compounded by negative interest rates and an influx of migrant workers into countries with unique, but mostly dismal Economic outlooks. The combination of the above factors will help facilitate another financial crisis in a few years. There is something that I haven’t mentioned, a Black Swan. A Black Swan is a rare and unforeseen event that is almost impossible to account for. The next crisis will be driven to a cliff by the aforementioned factors. 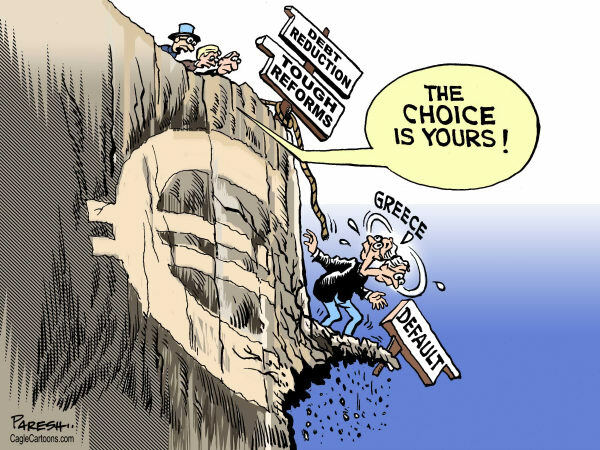 The Black Swan will kick the global economy over the cliff. After that, we will build increasingly robust financial models that promise to account for all uncertainty – an uncertainty in itself. The Pharmaceutical industry has developed an array of miraculous concoctions over the last few centuries. Sadly, the birth of this industry can be juxtaposed to the discovery of fission in the 1930’s. Fission was seen as a practical way to generate energy and electrical power from a small mass, but was ultimately used to create the “Atomic Bomb”. Nearly 75% of prescription drug overdoses are caused by prescription opioid painkillers; these drugs are involved in more deaths than cocaine and heroin combined. In 2010, pharmaceutical drug overdoses were established as one of the leading causes of death in the US; drug overdoses were more lethal than firearms or motor vehicle accidents. 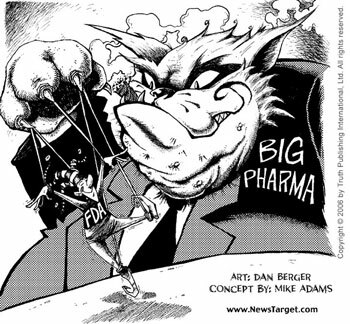 The Pharmaceutical Industry is giant money making, for profit sector of the global economy. Consider the fact that it takes an average cost of about $800 Million (research, patents, lobbying, and production) to bring a new drug into the market. Consider also that a new drug patent will protect a company that developed a particular drug for only about 12 years. After that, all the other companies can jump in and start producing cheaper “generic” substitutes, which will eventually shrink the profits of the initial developer. I can tell you with financial certainty that the cost of developing a close to $1 Billion dollar product will put pressure on almost any public company, pharmaceutical or otherwise. The solution? Sell, Sell, Sell…. no matter what the cost. Human beings have attained an evolutionary intuition from experimentation with plants, animals, and minerals which contain medicinal properties. Records of medicinal preparations date back to 28th century BC by the Chinese “Red Emperor”, Shennong. Shennong described, in ancient scripts, the anti-fever capabilities of a plant named “chang shan”. Many plant-derived medications employed by the ancients are still in use today and are referred to as “Traditional” or “Eastern” medicine. Egyptians have historically treated constipation with castor oil and indigestion with peppermint. The Society of Apothecaries (pharmacists) was founded in the 15th century. This marked the emergence of pharmacy as a distinct and separate entity. The separation of apothecaries from grocers was authorized by King James I, who also mandated that only a member of the society could keep an apothecary (pharma) shop. Not much has changed today as pharmacy spaces are heavily regulated and an individuals entrance into the modern Society of Apothecaries is usually preceded by a Pharmacy degree. As technology exponentially evolved over the years, so did the research and development of drugs. The Pharma industry’s modern era – isolation and purification of compounds and chemical synthesis – is widely believed to have begun in the 19th century. The isolation and purification of medicinal compounds was of tremendous importance for several reasons. Accurate dosages, toxicity reduction, and knowledge of the chemical structure of drugs would enable more intricate manipulations in the future. Merck, the oldest Pharma Company in the world, successfully isolated morphine from opium in 1805. Merck also helped produce and market cocaine in this time period. Pfizer successfully developed citric acid in the mid 1800’s, which is used as a pH adjusting agent in gels and creams. When launched in 1886, Coca-Cola’s two key ingredients were cocaine and caffeine. The cocaine was derived from the coca leaf and the caffeine from kola nut, leading to the name Coca-Cola (the “K” in Kola was replaced with a “C” for marketing purposes). The pharmacy and retail industry have always been heavily intertwined in the modern era, with little regard for the consumers well-being. King James would be disappointed. Legalization of drugs has never been about protecting you, the individual. It has always been about protecting corporations and their profits. Pharmaceutical companies would much rather you be medicating your depression with Prozac and making them rich, instead of medicating with an illegal narcotic and making a drug lord rich – both inefficacious decisions in my opinion. 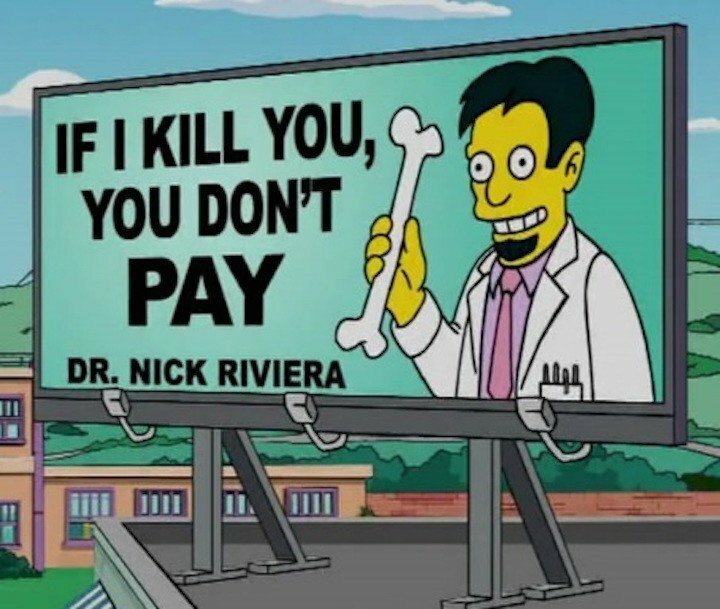 Many doctors today fresh out of medical school are approached by “agents” of Pharma companies. These agents will bribe young doctors drowning in debt, offering to pay for their educational debt in exchange for promoting a certain product. Pharma companies will do whatever it takes to gain market dominance. In 2004, Generics UK, (Merck’s former British subsidiary) paid £12M pounds in a settlement over a price fixing cartel. The NHS (UK National Health Service) alleges various drugs companies exploited the oligopolistic market conditions, forcing the NHS to pay inflated prices for drugs. NHS fraud investigators believe there was a conspiracy to limit the supply of 30 of its most commonly prescribed drugs, including a class of penicillin antibiotics and to a generic version of best-selling ulcer treatment Zantac. Many other pharmaceutical companies have also been accused of corruption in recent times. Pfizer, Eli Lilly and Johnson & Johnson have all settled foreign bribery cases in the last three years. Eli Lilly is the Pharma Company that developed Prozac (anti-depressant) in the 1970s. After making a highly successful and profitable career in the pharmaceutical industry, Dr. Virapen decided to come clean in terms of corruption within Eli Lilly. Virapen shared the truth behind the industry and how he helped to get Prozac, one of the most highly prescribed anti-depressant drugs in the world on the market. Virapen also admitted that the pharmaceutical industry “are not interested in curing any disease that you may have, they are more interested in making you have disease. They are interested in symptomatic treatments.” Pharma companies benefit the most from symptomatic illnesses such as: diabetes, arthritis and cardiovascular disease. According to textbook economics, the enormous gap between the price and marginal cost of these drugs gives their manufacturers an enormous incentive to lie, cheat, steal and find other ways to get more people to buy their drugs. The Pharma industry is spending a fortune trying to mislead doctors about the safety and effectiveness of their drugs so they will prescribe them more widely. They also spend billions of dollars lobbying to congressmen in order to keep the FDA docile and unable to operate in the interest of consumers. There is a fundamental difference between the approach of modern medical science and one based on traditional (eastern) medical science. The former hides the symptoms of the basic illnesses and does not deal with the root causes. Most diseases are derivatives of a dozen illnesses. Herbal medicine attacks the roots of these diseases. A primary example is the patient that decides to medicate a cold with Nyquil, instead of medicating with green tea. The former will do nothing but numb the patients’ symptoms, while the ladder will actually speed up the detoxification process and aide the immune system. Another example is the patient that medicates depression with Prozac, instead of reaching out to friends and family or different aid groups. The former will mask the underlying issues related to depression, while the ladder will help remedy the root cause of the depression. There are, of course, extreme cases in which modern medical science is necessary. Unfortunately, widespread abuse and reliance on modern medicine has ruined the lives of so many people that it is almost impossible to fully embrace. Instead, people need to fully inform themselves before introducing foreign substances into their bodies. People would be shocked to realize that – more often than not – they are just walking, talking chemistry experiments. If you were buying gasoline for your car in 2008, then you are aware of how high gas prices were. $4/gallon is no joke ($147/barrel), especially if you are unemployed (which there was a 10% chance of at the time). World oil prices peaked at this time and were the highest ever recorded. The financial crisis is partly responsible for the sharp decline in prices between 2008 and 2009 (decreased demand) and I will explain in more depth below. Oil prices have historically been indexed to global economic prosperity (especially the U.S.), which is why we notice a steady increase in prices (increased demand) as government bailout funds slowly start churning the economy year after year until today (08′-14′). However, there has been a shift in the relationship between controlled supply (OPEC) and the price of crude oil ever since the U.S. has become its number one supplier of crude. The price of oil has fallen by more than 40% since June 2014, when it was $115 a barrel. It is now below $70. Respectively, this translates into about $3.75/gallon and $2.50/gallon. This comes after nearly five years of “stability”. On November 27th, the Organization for the Petroleum Exporting Countries (OPEC), failed to reach agreement on production curbs, sending the price tumbling. The surge in supply has been the main catalyst in the plummeting price of oil. Weak demand has also been a major factor. The oil price is partly determined by actual supply and demand, and partly by expectation. Demand for energy is correlated to economic activity. It also spikes in the winter in the northern hemisphere, and during summers in countries which use air conditioning. Supply can be affected by weather (which prevents tankers loading) and by geopolitical upsets. If producers think the price is staying high, they invest, which after a lag boosts supply. Similarly, low prices lead to an investment drought. OPEC’s decisions shape expectations: if it curbs supply sharply, it can increase prices. If it increases supply, it can decrease prices. Saudi Arabia produces nearly 10m barrels a day—a third of the OPEC total. Oil prices have historically been cyclical. Demand is currently low because of sub par economic activity, increased efficiency, and a growing switch away from oil to other fuels. America has become the world’s largest oil producer. Though it does not export crude oil, it now imports much less, creating a lot of spare supply. America used to be extremely dependent on foreign oil coming mainly from the Saudis; there has been a fundamental shift in American oil consumption. The American energy revolution, led by the new technologies of hydraulic fracturing and horizontal drilling, has created a flood of new shale-oil and natural-gas production that has overwhelmed world markets and driven prices down dramatically. The Saudis and their Gulf allies have decided not to sacrifice their own market share to restore the price. They could curb production sharply, but the main benefits would go to countries they detest such as Iran and Russia. Saudi Arabia can tolerate lower oil prices quite easily. It has $900 billion in reserves. Its own oil costs very little (around $5-6 per barrel) to get out of the ground. They are part of the OPEC price-fixing gridlock as of late. The steep ascent in the price of oil between 2004 and 2008 coincided with the first significant decrease in non-OPEC supply since 1973 and an unprecedented surge in global demand. China increased its demand for oil from 7M barrels/day to about 10M barrels/day during this time period. Other growing economies, such as Brazil & Indian increased their demand for oil. Although OPEC members responded by increasing their production, they lacked sufficient capacity after years of restrained field investments to bridge the growing gap between global demand and non-OPEC supply. On December 12, 2014 the Dow Jones industrials lost more than 315 points, a 1.8 percent decline, to cap a weekly loss of 3.8 percent — the deepest drop since November 2011. The main reason why the stock market is losing steam is because people realize that the decline in global oil prices is great for consumers, but bad for energy corporations. Lower crude oil prices will put pressure on indebted, U.S. shale oil producers that invested heavily into fracking and other technologies. Overall, OPEC appears to be losing global influence, mainly because the United States is the main consumer of oil and is less dependant on OPEC than ever. As presented in the graph, OPEC controls the “low-cost” part of the supply curve. By exercising control and reducing output from where it would be in an uncontrolled, competitive market, they are able to shift the equilibrium from the competitive point (P*, Q*) to what I call the “OPEC” point: (P(O), Q(O)), which gives us a price that is higher than the competitive market price. Lately, with OPEC failing to curb supply, we’ve seen a drop in price from the “OPEC” point to the competitive point. Let’s hope that this paradigm shift continues along with a strong dollar in order to ensure economic prosperity. Creating an organization or small business is the dream of the majority of initiated individuals living in developed societies. There are a multitude of factors that will influence every venture’s “success” or “failure”. 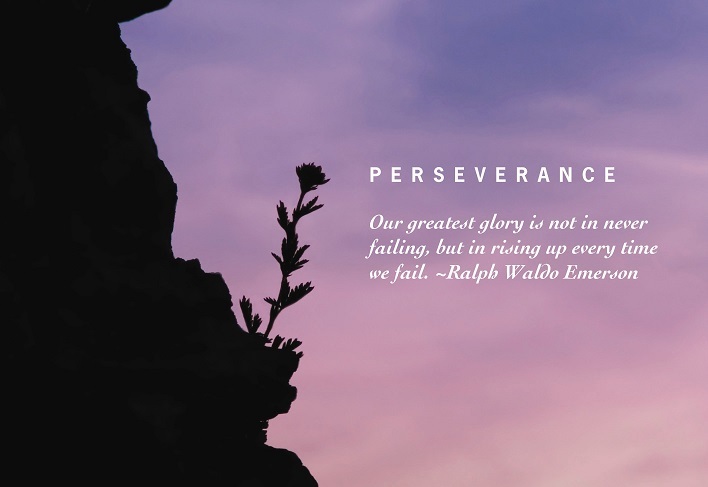 Throughout my entrepreneurial and professional career, I’ve witnessed and been part of organizations that have succeeded and that have failed. Real world & academic experience has enabled me to draft a list of the” 10 Commandments for Aspiring Entrepreneurs”. Unfortunately, your idea is at the mercy of the economic and social forces beyond your control. The survival rate for most small businesses after six years is only about 40%, so the odds are against you. The success rates for many ideas are attributable to “right place at the right time” factors. An amazing idea at the wrong time (no demand) has a low success rate. A mediocre idea at the right time (high demand) has a high success rate. Below are the “10 Commandments for Aspiring Entrepreneurs”. Breaking any of these commandments is almost certain to shake the foundations of your dreams and send your organization spiraling into an entrepreneurial Inferno. Regardless of how awesome or mediocre your idea may be, you must be confident. You will have supporters, you will have critics. You will have constructive feedback, you will have useless feedback. Trust in your instincts and surround yourself with positive influences. Your idea is like a newborn baby and it must be protected and nurtured in this jungle of ideas. Realize that there is a difference between confidence and arrogance. Confidence will power you through hard times and sleepless nights. Arrogance will betray you and warp the reality of your situation. Drafting a highly structured organizational/business plan is critical for all Entrepreneurs. Your plan doesn’t need to be extremely dense and conventional to be successful. However, you do need to be able to explain specifics regarding your idea/product. What need does it fulfill? What is your target market/demographic? What are the Strengths/Weaknesses/Opportunities/Threats regarding this idea? How much money will it cost to get it off the ground? How much money will it make in the short-term/long term? What is your long term strategic plan? Where is the math (financial calc/market summary) that supports everything that you are hoping and dreaming about? A strong plan displays your level of dedication, organization and vision to potential business partners and investors. There will be sleepless nights, frustration and headaches. Things will not go exactly as planned and because of this, you will be pushed to your mental and physical breaking points. It is important that you understand your personal limits and realize that ultimately your health is more important than an idea that may begin to affect you like a virus. Many people make the mistake of becoming completely consumed by an idea and begin to ignore their basic human needs. Dynamic, hard working, trust worthy and skilled. They need to be all of the above. 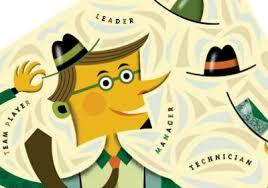 People in small organizations need to be comfortable wearing different hats. These people need to be hard workers or you will be picking up the slack for them. There needs to be trust amongst associates. They should bring a strong set of skills to the table, skills that you may be lacking. These people are your safety net; they are also responsible for your baby’s well-being. Choose them wisely. Budgeting and forecasting expenditures is absolutely essential. Most people are amazed at how quickly they can chew through $100K because of unknown variables. Plan for the worst, hope for the best. A financial mistake can have a lasting effect on your organization, hindering its ability to fully recover in the long run. Have alternate financing options available to you in case of a rainy day. Don’t wait until you are desperate to seek alternatives. If you have a catchy word, name, or symbol (Nike logo) – Trademark it. If you have a new invention – Patent it (lasts 20 years). If you are an author of an original piece of work (literary/musical) – Copyright it. Great ideas are neither patentable, nor copyrightable. You need to have anyone involved in your idea sign an NDA (non-disclosure agreement). Beware of intellectual property trolls who are vigorously trying to steal your idea in order to profit from it. If someone steals your idea/logo from you and trademarks/patents it, ownership belongs to them legally. Take the additional steps to protect your idea before you become fully emotionally and/or financially vested in it. Trust your associates and business partners, but get everything in writing. People tend to honor their obligations more religiously if they know that they can be legally held to their signature on a document. After all, people aren’t perfect and you will always be surprised in the world of business ventures. Another reason to get everything in writing is because it will help organizing task lists and remembering important promises that you may have made. After all, you aren’t perfect either 🙂 . The glass is half full. The glass is a quarter full. The glass is a tenth full. Do you understand what I’m saying? Always focus on the positive aspects of your ideas development. Energy is very real and if you let yourself get poisoned by negative energy, your thought process and demeanor will change. Exercise to control your stress levels and don’t restrict yourself from your leisurely activities (you will have to limit them). If youre body/mind is healthy, you will be infinitely more productive and your idea will benefit from this added productivity. Networking is extremely important, be it through a social network or in person. You never know who might know someone, who might know someone, who might be able to get you past a hump in your ideas development. The stronger your network is, the more options you’ll have. If you need to fill a void in your team or perhaps find some unconventional financing, your network will be the best resource. Fear leads to anxiety, anxiety leads to irrational decision making. Think outside-the-box and eventually you will find a solution to any problem. Fear is a natural human emotion and takes experience to master. Unfortunately, your business can’t afford any bad decisions. The more that you become comfortable exploring different horizons that are outside of your comfort zone, the more skilled and dynamic you will become. The more skilled and dynamic you are, the less you have to fear.